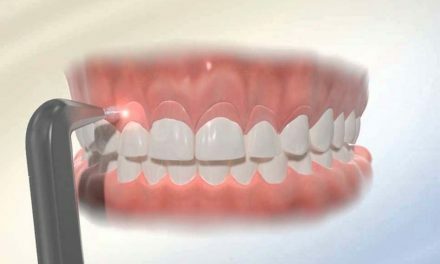 In dentistry, an inlay is an indirect restoration consisting of a solid substance (such as gold or porcelain) fitted to a chamber of a tooth and cemented into place. 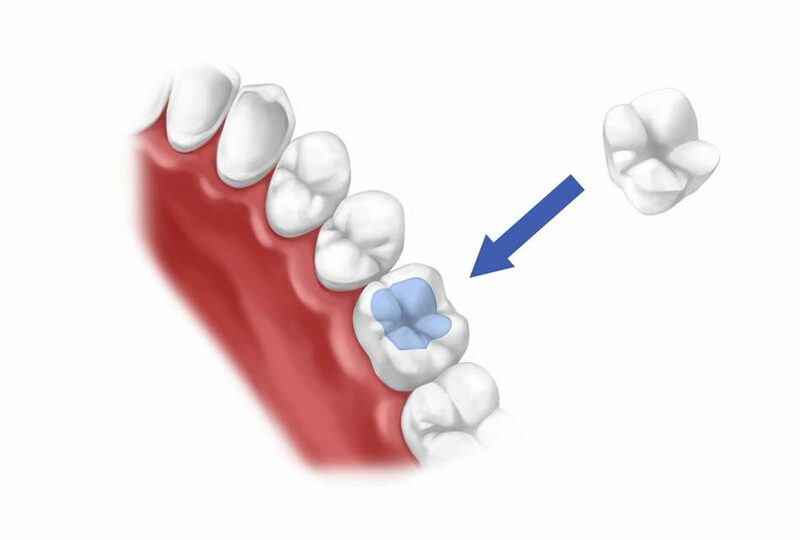 The chamber of the tooth is the area where there use to be tooth decay. Whereas an onlay is the same as an inlay, except that it extends to replace one ore more cusp. 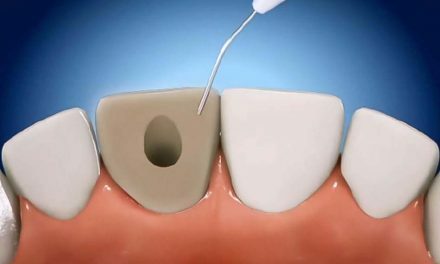 Crowns are onlays which completely cover all surfaces of a tooth. 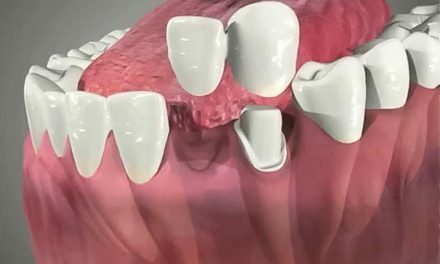 A tooth would need an inlay or an onlay when the decay or fracture is so extensive that a direct filling such as amalgam or composite, would compromise the structural integrity of the restored tooth or provide substandard opposition to biting forces. In such situations, an indirect gold or porcelain inlay restoration may be indicated. 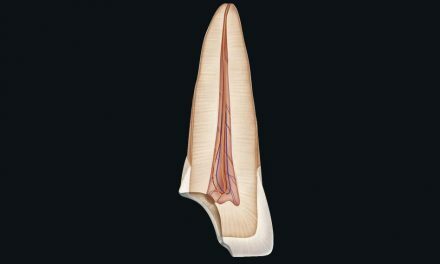 When an inlay is used, the tooth-to-restoration margin may be finished and polished to such a super-fine line of contact that recurrent decay will be all but impossible. While these restorations might be ten times the price of direct restorations, the superiority of an inlay in terms of resistance to occlusal forces, protection against recurrent decay, precision of fabrication, marginal integrity, proper contouring for gingival (tissue) health, and ease of cleansing offers an excellent alternative to the direct restoration.